6, 7 or 8 days (super) soft cycling tours in Dordogne valley with bags transfer. If you want a restday or staying an extra night in one of the hotels of the trip you can book extra nights in any of the hotels. Short distances: no more than 20 km a day possible; more than 20 kms is possible too. Three packages available "Plus" (** & *** hotels), Superior (*** and** hotels) and Luxury (*** hotels). 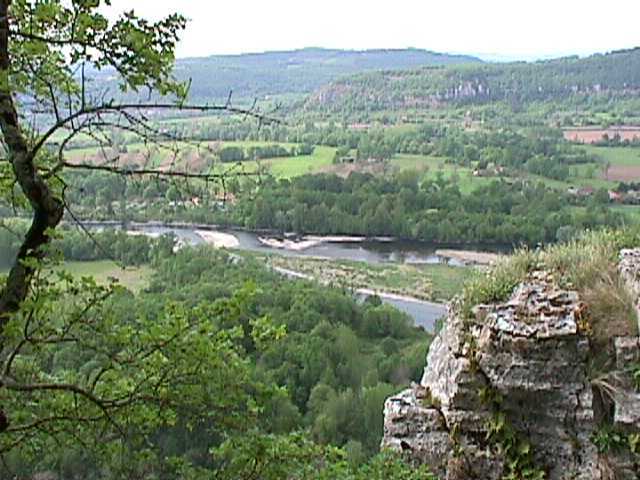 Find the path of the river Dordogne in the Quercy of Lot department alternated with the Causse du Quercy, a smooth limestone plateau with open scenery on top of the causse. 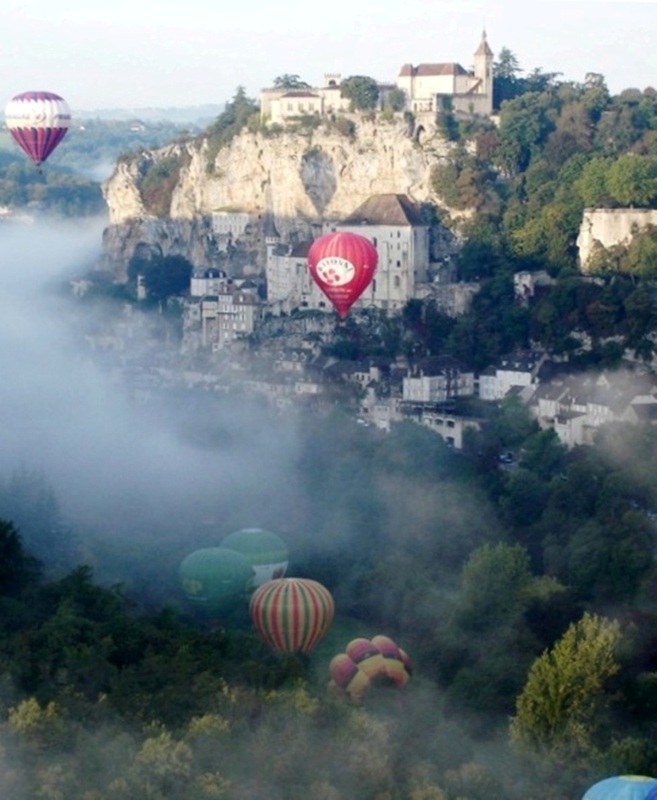 Rocamadour, the second tourist attraction of France with its beautiful small canyon of the Gorge de l'Ouysse and the beautiful Dordogne valley provide the scenery for a quiet biking tour. You'll have plenty of time to visit beautiful medieval villages like Souillac, Martel, Carennac and Rocamadour. The Gouffre de Padirac is another attraction you shouldn't miss. Different attractions like the old train at Martel. Starting day: every day. Day distances: 20 - 30 km or more if you wish. At 4 hours travelling by train from Paris. In Souillac you can leave your car in a secure parking of the hotel at € 7,- per night. 1) for bookings in April and October €75 p.p. 2) for bookings in May, June and September €25 p.p. The nearest airport from UK to these walking tours is Brives (Ryanair). Transfer to first hotel in Souillac is not included. Train Toulouse-Souillac direct connection of almost 2 hours. From North America best is to fly into Paris or to Toulouse. Bus and train connection from Toulouse to Souillac. By train from Paris Austerlitz: leave at 7:09h, 9:09h; 9:39h or 13:56h. Arrival in Souillac after 4h30min. From Souillac back to Paris: leave at 07:05 or 09:03 or 13:10. Arrival in Paris after 4h30min. At Gare du Nord you walk in 3 minutes to Metro line 5, direction Place d'Italie (Metro every 5 minutes or less). 14 minutes ride to Gare d'Austerlitz. MAILINGLIST LA LIGNE VERTE: Enter your email address, and we'll keep you informed about special offers and new items. Dufaystraat 5-II, 1075GR Amsterdam Netherlands.